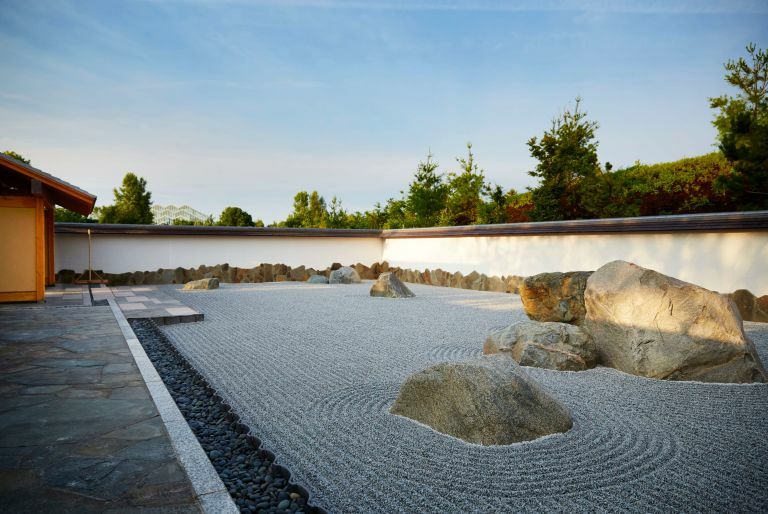 Fred and Lena Meijer had long appreciated the traditions and experiences of Japanese gardens. 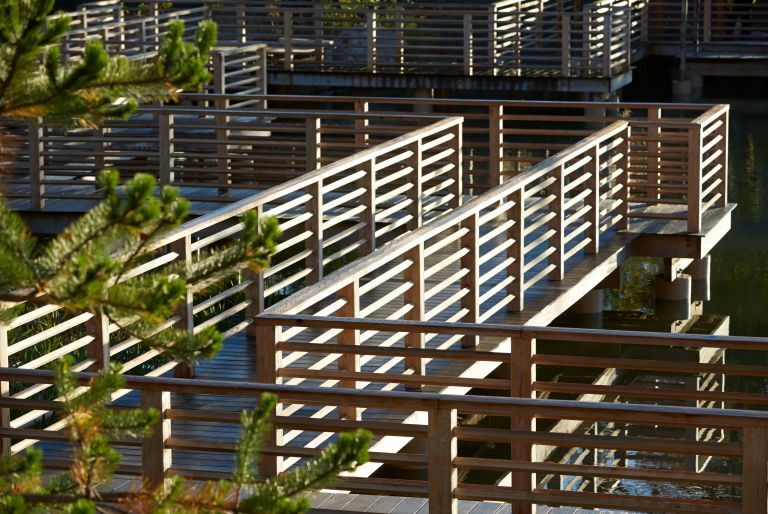 Kurisu was deeply honored to bring their vision of tranquility, simplicity and beauty to life. As a centuries-old, yet timeless art, the Japanese garden complements Meijer Gardens' mission and values, and allows exploration in unique ways by bringing the art of the garden and the art of sculpture together. Meijer's team thoughtfully curated the inclusion of sculpture from world-renowned artists such as Jenny Holzer, Anish Kapoor, Zang Huan and David Nash, among others. 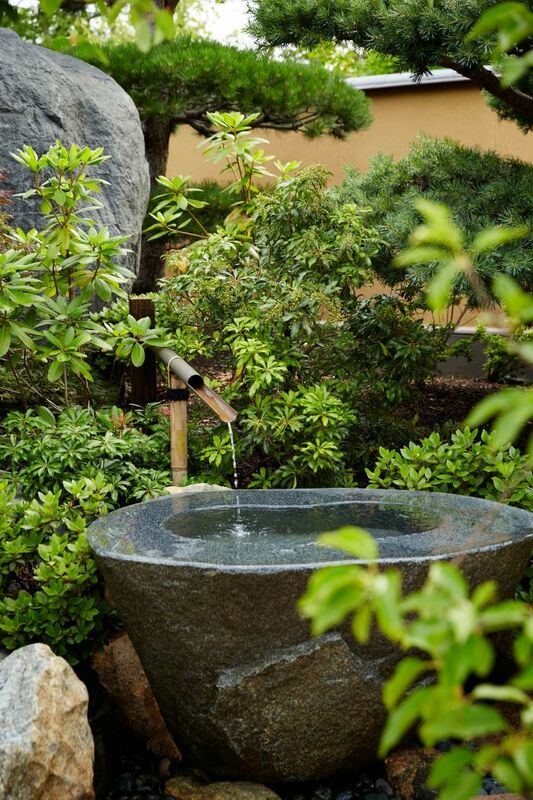 The ideal garden location was selected for the qualities of available water, elevation changes, and quiet surroundings. Over four-years in the making, Kurisu's design and construction process included close collaboration with Meijer's team, community-based education and outreach, sensitivity to native species, wetland mitigation, and preservation and creation of habitat for birds and other fauna. The result was a magnificent 8.5-acre garden. 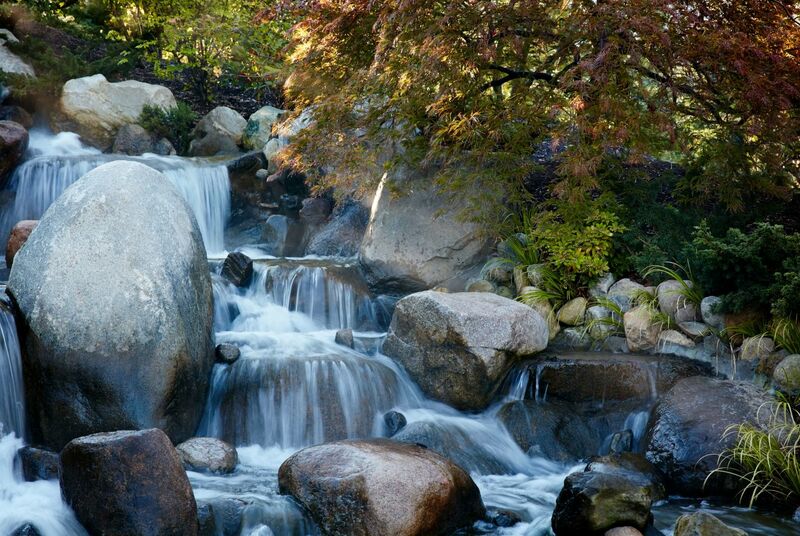 Four waterfalls grace the Richard & Helen DeVos Japanese Garden. 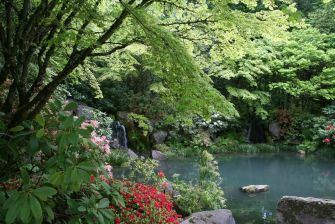 Main waterfalls on the north and south edges are designed to complement each other with contrasting feminine and masculine energies – emptying into a central pond at the heart of the garden. An authentic Japanese teahouse is a featured highlight of the garden, offering traditional Japanese tea ceremony. 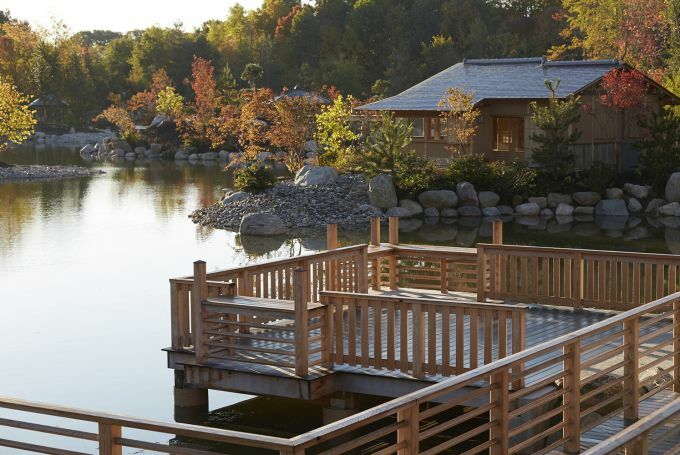 First constructed in Japan by skilled Japanese craftsman, the teahouse was then dismantled, shipped then reassembled at Meijer Gardens using traditional tools and techniques. One of the most fascinating features, the teahouse may be seen from every view in the Japanese garden. 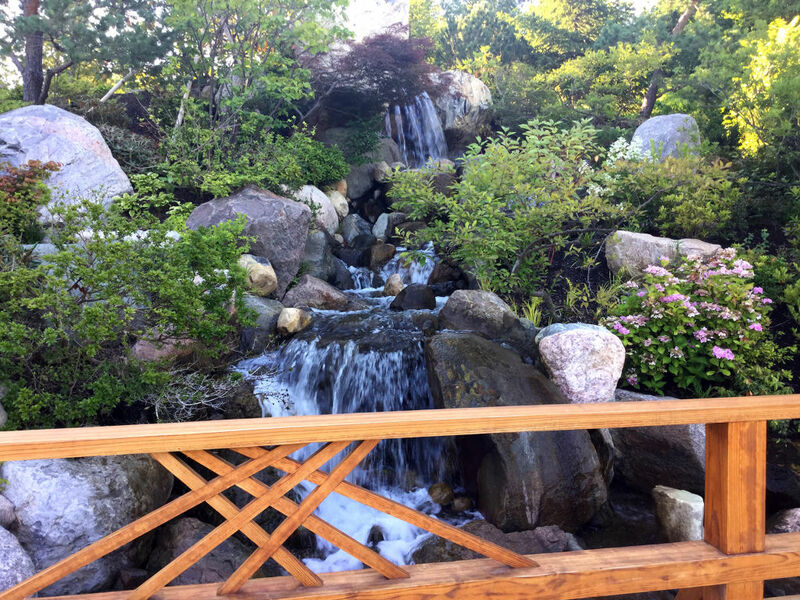 While the Richard & Helen DeVos Japanese Garden includes plants traditionally used in Japan (including Japanese maples, cherry blossoms and bamboo), it also features plants native to Michigan and other temperate climates throughout the world. 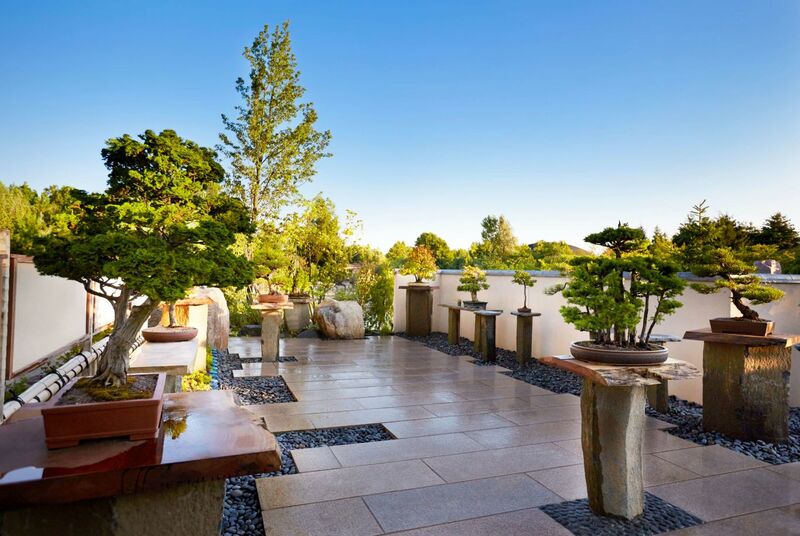 An iconic form among authentic Japanese style gardens, the Zen-Style Garden invites contemplation and seclusion. 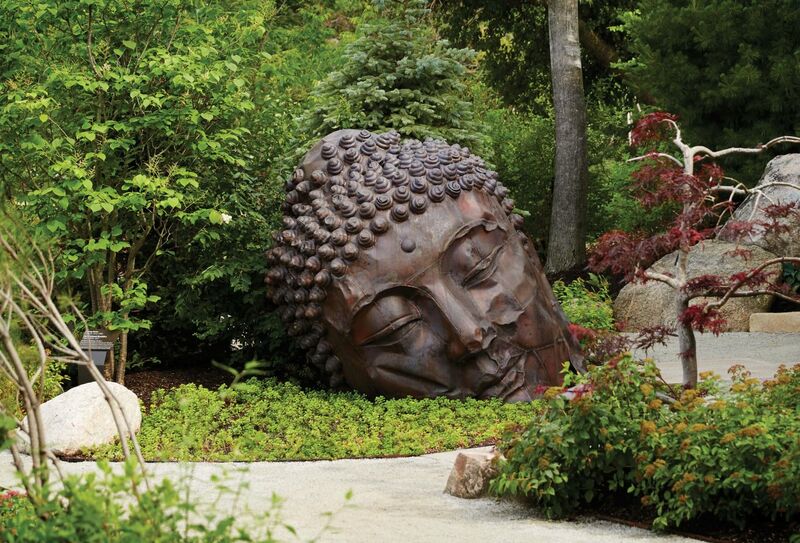 Nearby, Meijer Gardens' acclaimed bonsai collection is thoughtfully displayed. The Richard & Helen DeVos Japanese Garden also includes such features as a natural style moss garden, viewing hill, boathouse, multiple gazebos, benches, gates, decks, ponds and an arched bridge. 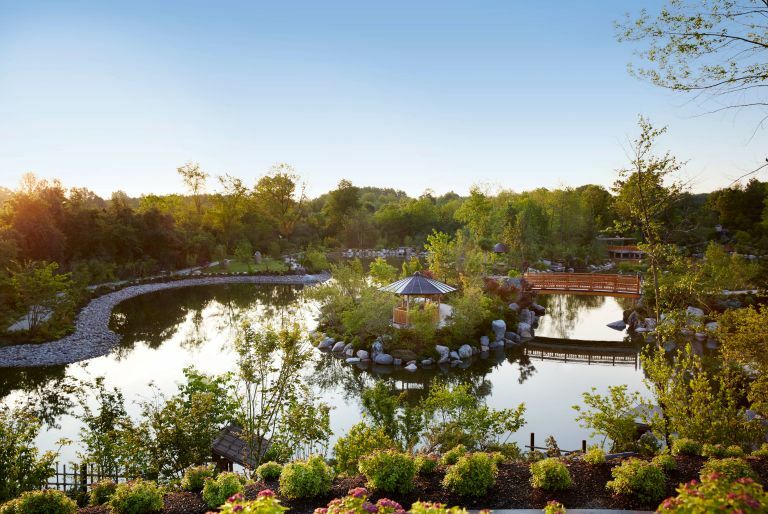 For more information, please visit the Meijer Gardens website.